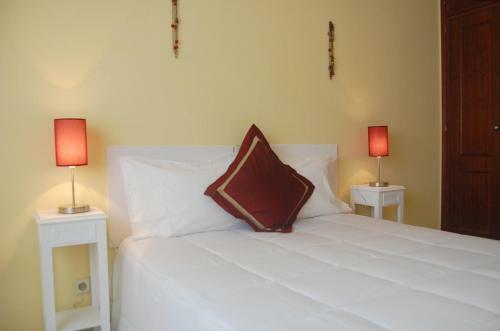 Located 600 metres from Lagos’ old town, Merry’s House offers air-conditioned rooms in a renovated building. It features a furnished terrace where guests can enjoy meals and enjoy the Algarve sun. Flat Via Torraltinha is a self-catering accommodation located in Lagos in a quiet urbanization. Free WiFi access is available. The property is 1.8 km from Meia Praia Beach Lagos and 900 metres from Dona Ana Beach. Offering a barbecue, Aurora Houses is located in Lagos. Meia Praia Beach Lagos is 1.5 km away. Free WiFi is featured . Some units also have a kitchen, equipped with a dishwasher and oven. Aurora Houses also includes a sun terrace. Featuring apartments with a fully equipped kitchen and balcony, Sol Nascente is set in a garden with an outdoor pool. The apartments have a fireplace and views of the surrounding countryside.